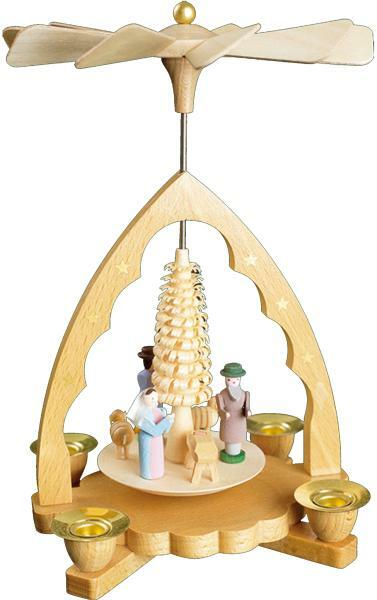 16330 - Pyramid - 7.5H x 5.25"W x 5.25"D"
16330 - Richard Glaesser Pyramid - Nativity Scene - 7.5H x 5.25"W x 5.25"D"
Richard Glaesser pyramid - nativity scene - Made in Germany. Uses #29319 red or #29320 white paraffin wax candles. Heat rising from lit candles move paddles to rotate base - traditional table decoration.